HOUSTON - Construction crews were seen moving into Hidalgo County this week in advance of planned construction on new sections of a border wall. The development comes as questions linger regarding the border wall’s potential impact in certain areas. Prior to the government shutdown, Galveston-based SLSCO won a pair of government contracts to construct a levee wall system in Hidalgo County. The contracts call for reinforced concrete walls to be built to the height of existing levees, topped by 18-foot tall steel bollards. The contracts also call for vegetation removal along a 150-foot enforcement zone, lighting, surveillance cameras and an all-weather patrol road. The contracts combined are worth $312 million. One contract calls for six miles of wall to be built in Mission. Part of the wall is expected to cut through the National Butterfly Center. That land runs to the banks of the Rio Grande, and so far center officials have not been able to alter construction plans but continue to fight the measure in court. Another contract calls for five segments of a nearly eight-mile long wall to be constructed east of the Santa Ana National Wildlife Refuge and south of Donna, Weslaco and Mercedes. Both projects are scheduled to begin this month. In between these projects are the Eli Jackson cemetery and Jackson Ranch church and accompanying cemetery. Both are considered historical sites by the State of Texas because they were established in the late 1800s by one of the earliest ranching families in the area. Descendants of the Jackson family are worried possible border wall construction along the levee behind the church and cemeteries will displace graves. “How important is this area?” asked KPRC investigator Robert Arnold. “This is our family's legacy, this is our family's heart and soul,” said Sylvia Ramirez. These concerns rose last year when Customs and Border Protection published a letter on its website requesting public comment on border wall projects. According to the letter, CBP proposes to “design and construct approximately 25 miles of levee/border wall system in Hidalgo County.” A map attached to the letter shows a proposed wall going along a levee that sits behind the church and cemeteries. “We support border security, we don't support a wall next to our cemetery,” said Pablo Villarreal, who is the Hidalgo County Tax Assessor/Collector and whose great grandfather is buried in the Eli Jackson cemetery. Residents say they've gotten no specific answers from the federal government as to what will happen if a wall is built here. In a written statement to KPRC, Customs and Border Protection officials wrote, "The cemeteries in question are not located within the levee wall project footprints which are targeted to begin construction in February." When KPRC asked CBP officials about future construction plans beyond February, we got no comment. During the public comment period on the proposed 25 miles of levee/border wall, the Texas Historical Commission sent a letter to CBP, cautioning the government to be mindful of these and other historic spots in the area. Mancias said the area is vital to Native American culture. His and other residents’ concerns come from the Department of Homeland Security securing waivers from a host of environmental, endangered species and preservation laws to expedite construction on other portions of the wall in the county. CBP records show more people are caught illegally crossing the border in the Rio Grande Valley sector than any other spot along the southwest border. CBP records show 162,262 family units and unaccompanied children were caught illegally crossing the border in this sector in fiscal year 2018. CBP officials also said thousands of pounds of drugs are seized in this sector every year. 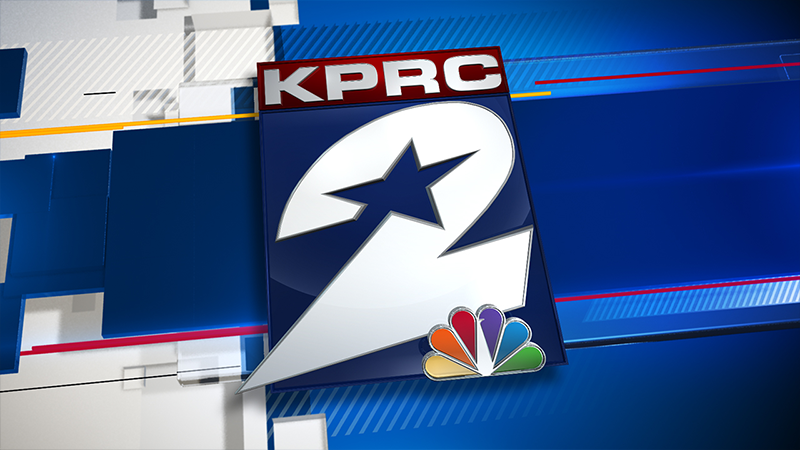 In response to the concerns, CBP told KPRC, “CBP is committed to the protection of the environment as it plans for and constructs border infrastructure. In Hidalgo County, CBP has conducted field surveys to identify biological and natural resources, wetlands, culturally significant sites, and environmentally sensitive areas that are present within the area of the project alignment. In addition, CBP has and will continue to coordinate and consult with federal, state, and local stakeholders to identify measures that avoid or minimize impacts to resources." Mancias and others residents remained concerned. Tents have pitched and a camp set up in the cemetery, along with marches at the Butterfly Center to protest construction. “Do you plan to stand in the way of construction?” Arnold asked. The Catholic Diocese has also been working to prevent government surveyors from coming on to property around the historic La Lomita chapel in Mission. The church argues building a wall here would leave the church on the south side, making it difficult for people to visit. The case landed in federal court. The diocese recently lost a court battle on this point. According to federal court records dated Feb. 6, “after arguments, the Court allowed the US Government right of entry under terms set by the Catholic Diocese of Brownsville." The judge’s full order has not yet been filed. President Donald Trump has said he may still consider declaring a state of emergency to fund construction of more segments of the border wall. “Simply put, walls work and walls save lives," the president said during his State of the Union address.